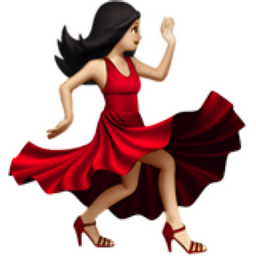 The Dancer emoji combined with the White flesh tone character. This gives the emoji the white skin color appearance. Yaay! This emoji first appeared in OSX / iOS after the iOS 8.3 update.